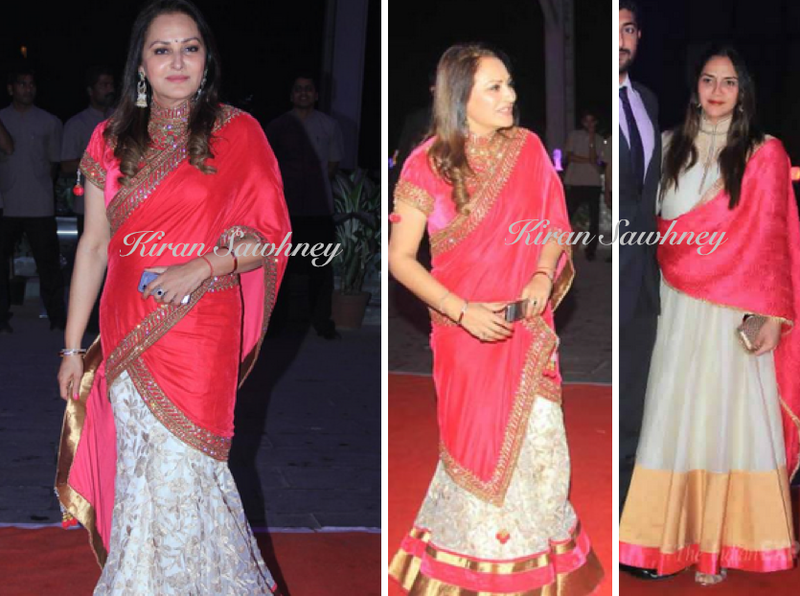 Actor-turned-politician Jaya Prada, wore a net lehenga with a red velvet duppatta that she draped like a sari. We absolutely do not like this net and velvet combination. Hema Malini and Dharmendra’s youngest daughter, Ahana wore a beautiful long anarkali of same red and white combination. It looked subtle and nice. Same color combination styled differently with different fabrics can make a lot of difference. 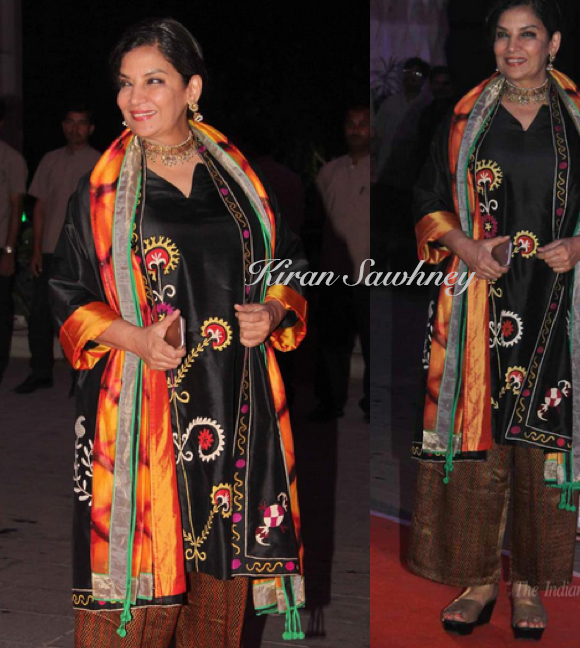 Shabana Azmi wore a black embroidered kurta with wide leg pants and chunky wedge heels. We do not like it. It is a nice kurta, nice duppatta but should have been styled differently.